I'm writing a thesis and I will be provided a standard front page by my school. The front page have cut-out area. On the next page I will show some detailed information about the thesis. I was provided a word template but I would rather not use Word. So I'm looking for some method to create a non-framed fixed size box in a fixed location. The box should be 60mm x 110mm with left top corner located at (140mm,50mm). (The A4 Paper is 297mm x 210mm). 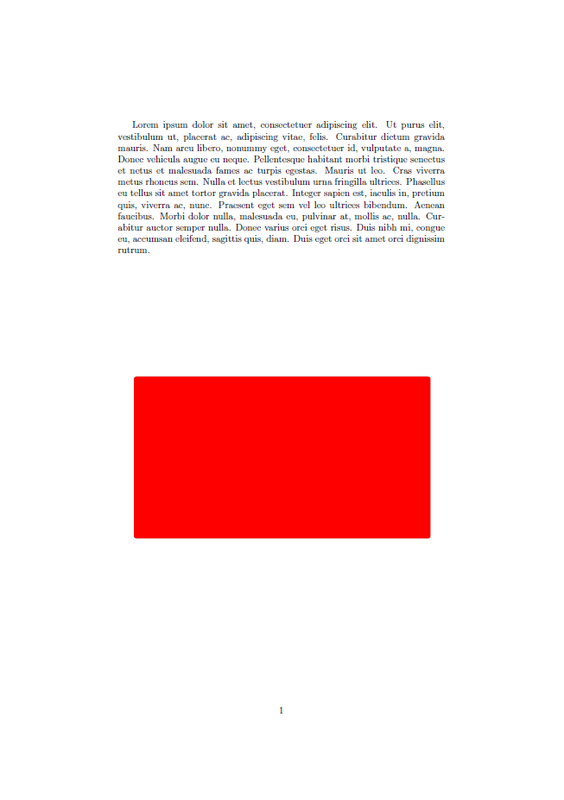 I will have to be able to modify the text by size, bold, centering horizontally and vertically inside the box. But they don't seem to work the way I want. I'm also thinking if this would be possible with minipages? The textpos package allows for absolute (or relative) positioning) of content on a page -- here absolute is too be chosen. The size and position values have to be specified as numbers only, i.e. without units. In order to inform textpos about the real dimensions, the lengths \TPVertModule and \TPHorizModule must be defined, here they are equal to 1mm both. The tcolorbox is just meant for quick setup of the box! Not the answer you're looking for? Browse other questions tagged boxes framed or ask your own question. How do I put a paragraph in a box that is some percentage of the width of the page I'm putting it in? How do I make one minipage the same size as another?